For the most part, I’m the cook in the family, but there are certain things that TJ is just much better at making, like garbage plates, hashbrowns, and grilled cheese. He’s got a method for grilled cheese that makes them perfect every time – you know, crispy on the outside, and melty on the inside – and it requires absolutely no butter. 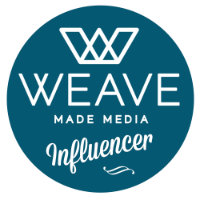 So, naturally, I asked him to share his method with the world (or the 20-ish people who will read this post). 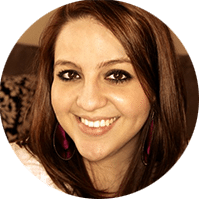 Truthfully, you can use any bread and cheese of your choosing, as this is more about the overall method, but in the ingredients list, I’m going to mention our favorites to use. 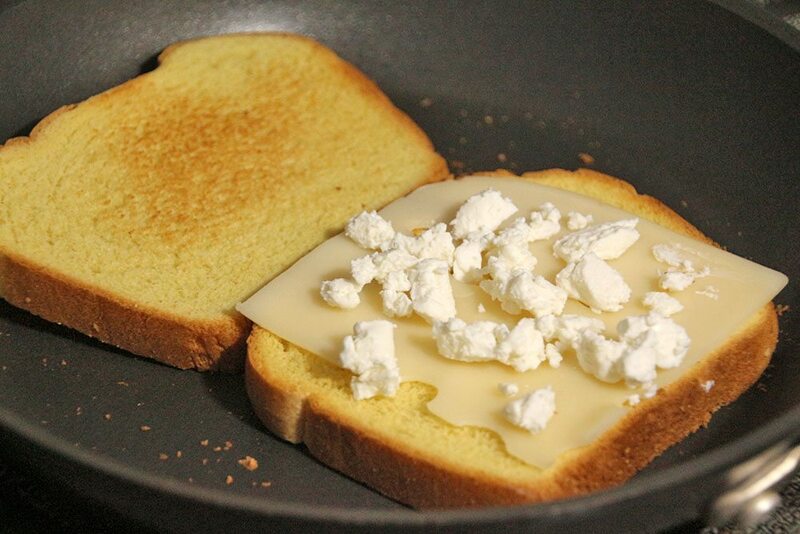 Before getting started, make sure your cheese is out and ready, so that you can quickly place it on the bread when it’s time. 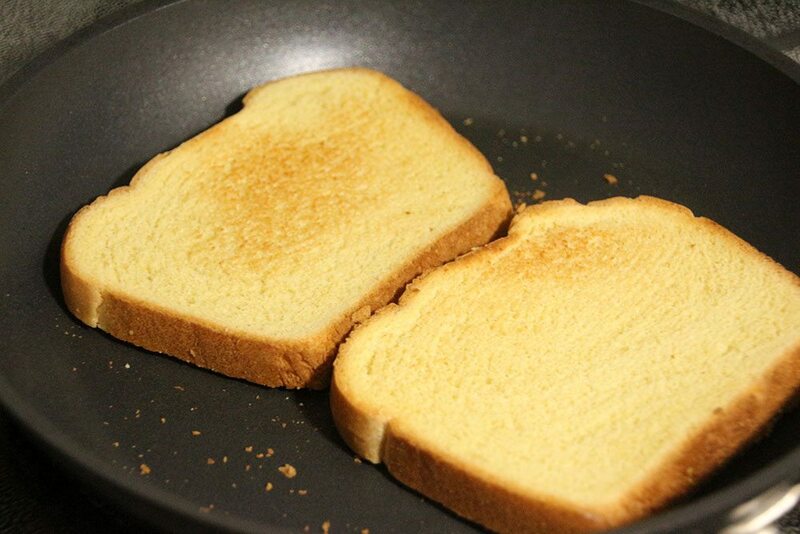 Place the bread in a small skillet and heat over medium-high heat for about 3-4 minutes, or until the side of the bread that’s touching the pan is just starting to toast. Turn the heat down to low and flip the bread, so the toasted side is up. 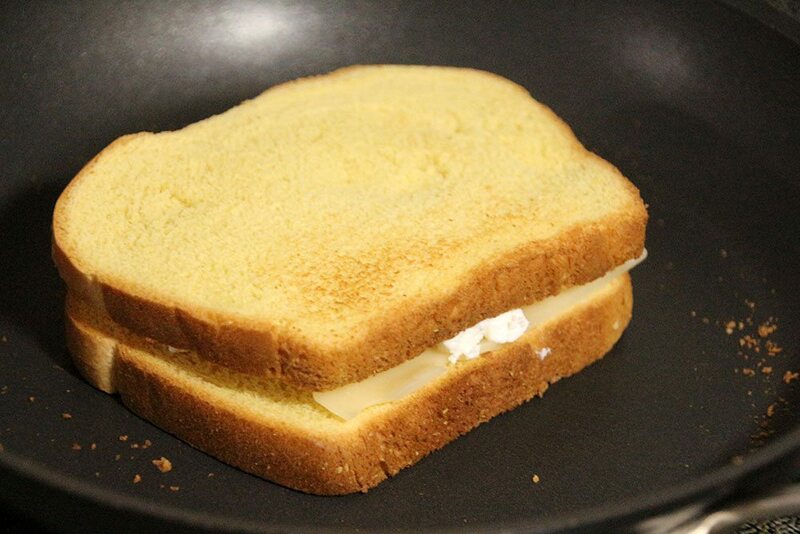 Moving quickly, place the cheese on one slice of bread, and top with the other piece of bread. The first side of the sandwich will probably toast quickly (about 1 minute), since the pan is still warm from being at a higher temperature. Once it’s toasted to your liking, flip to the other side. By now, you should see the cheese starting to melt. 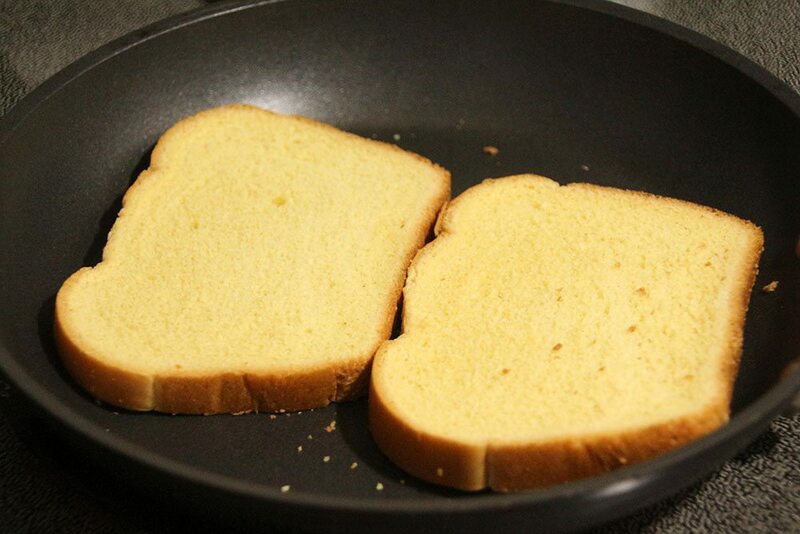 The second side of the sandwich will take a little longer to toast, about 2-3 minutes. This process is what gets the bread toasty (without butter), and also allows the cheese to melt fully. 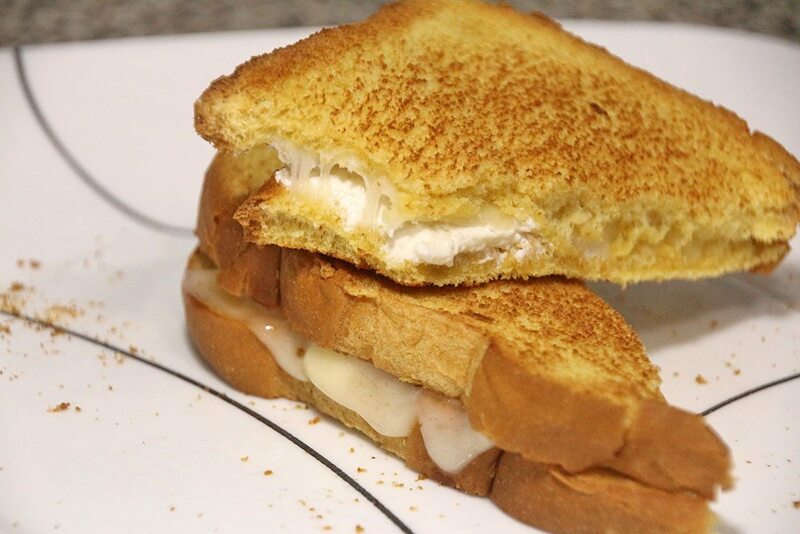 What’s your favorite type of cheese to use on a grilled cheese? Oh I was loving this post as soon as I saw the title! 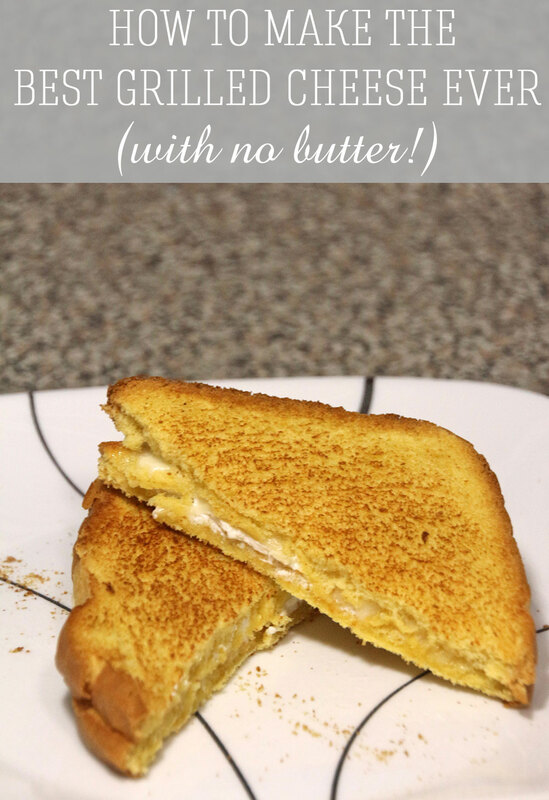 I love grilled cheeses! They are pretty much my go to meal when I don’t have any idea what I want to eat. I have been loving them lately with a little bit of turkey deli meat in them. Genius! 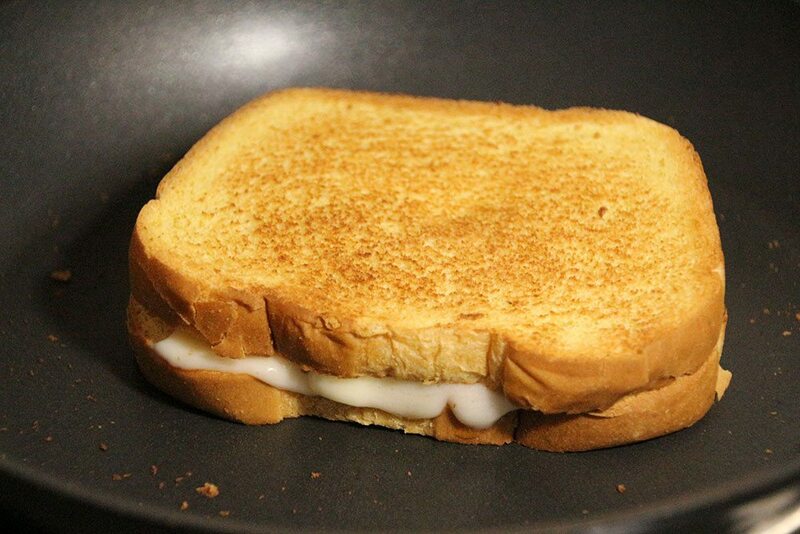 I always, always burn one side of my grilled cheese when I do them over the stove. UGH! I’ll have to try this method. Ahh this looks so good! Perfectly crunchy on the outside! Grilled cheese are the best. And now I’m craving for one.